The work of Dr Sharon Blackie has been profound in my spiritual journey. In other more simplistic terms – I’m a fan girl – and this episode today is probably going to show that to you quite quickly. Sharon’s work as a Celtic mythologist and author is lyrical, powerful, beautiful and strong. In particular her work has supported me on my own priestess and spiritual journey to feel more deeply into my own cultural background and ancestry as a woman of chiefly Scottish, Irish, Welsh and English make up. 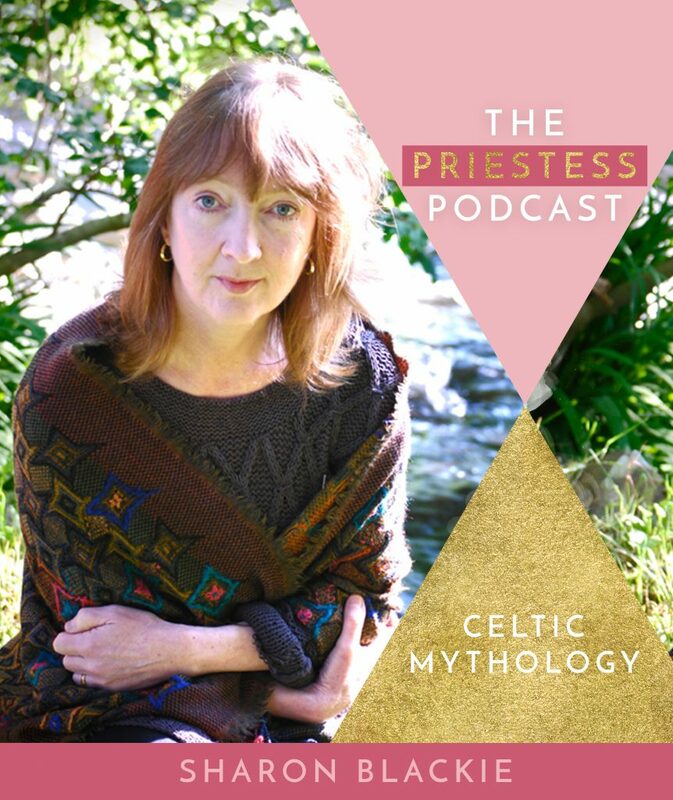 It is a dream come true for me to have her as a guest on The Priestess Podcast and I am overjoyed she is our first guest for this new season. Welcome to 2019! Thank You so much for the lovely interview with Sharon Blackie! I haven’t yet read any of her books but recently subscribed to her newsletter. As luck would have it I do have some Irish (Celtic) heritage to explore and am enthralled by the myths and potent earth spirituality of our people. I just downloaded your ebook; as well as saved the link for listening to your podcasts. Thank you so much Myra. I am really glad you enjoyed the interview and given that, I know you will love Sharon’s books. She is a beautiful writer and for anyone with Celtic heritage – she REALLY knows her stuff!